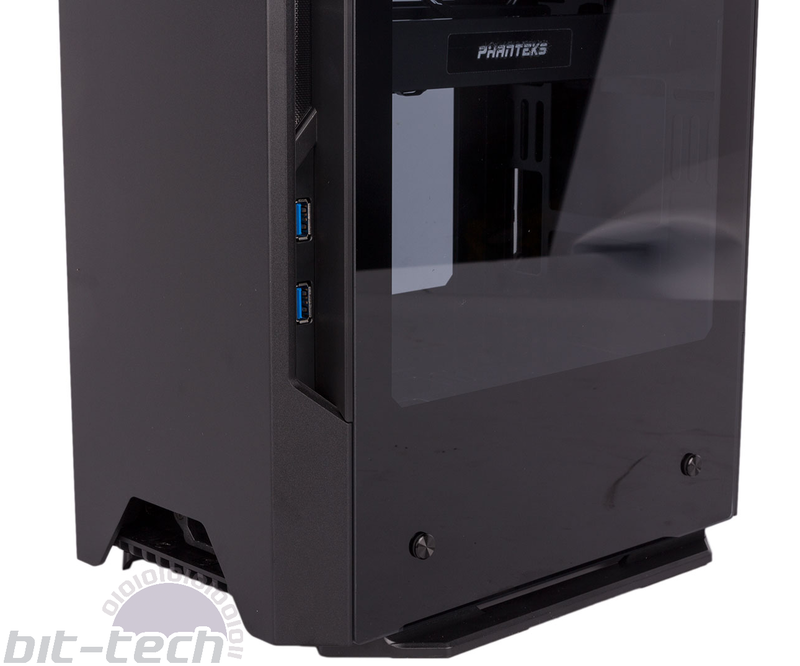 Despite being a relative newcomer to the chassis market, Phanteks has definitely made a good name for itself. It has branched out into niche designs before – the dual-system Enthoo Mini XL being a good example – but the Enthoo Evolv Shift and Enthoo Evolv Shfit X, both of which were shown off for the first time at Computex earlier this year, mark a shift move away from standard tower designs into the much less explored realm of vertical chassis. There is, of course, a comparison here that Phanteks will be unable to escape – the Corsair One. 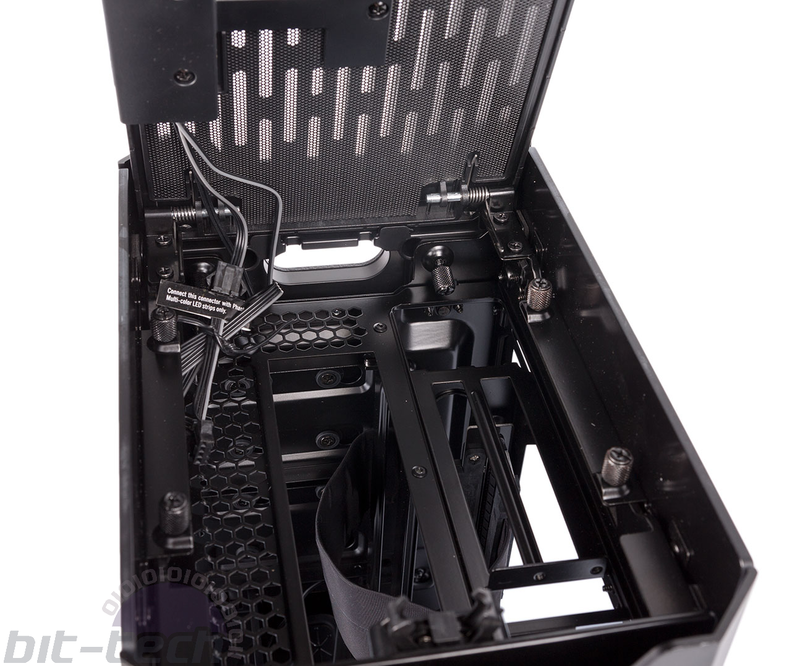 The skyscraper-esque design, aluminium panelling, and even the shape of the top grille are all shared between the Evolv Shift and the chassis used for Corsair’s system, but the Evolv Shift is different both in its use of tempered glass and, more crucially, the ability to actually build your own system inside it. The Corsair One is designed very much as a closed system and the chassis is not sold separately, and making modifications to the One’s hardware is rather tricky as a result. With that out of the way, let’s look more closely at the Evolv Shift. For over £100, you’d expect quality, and thankfully Phanteks delivers. 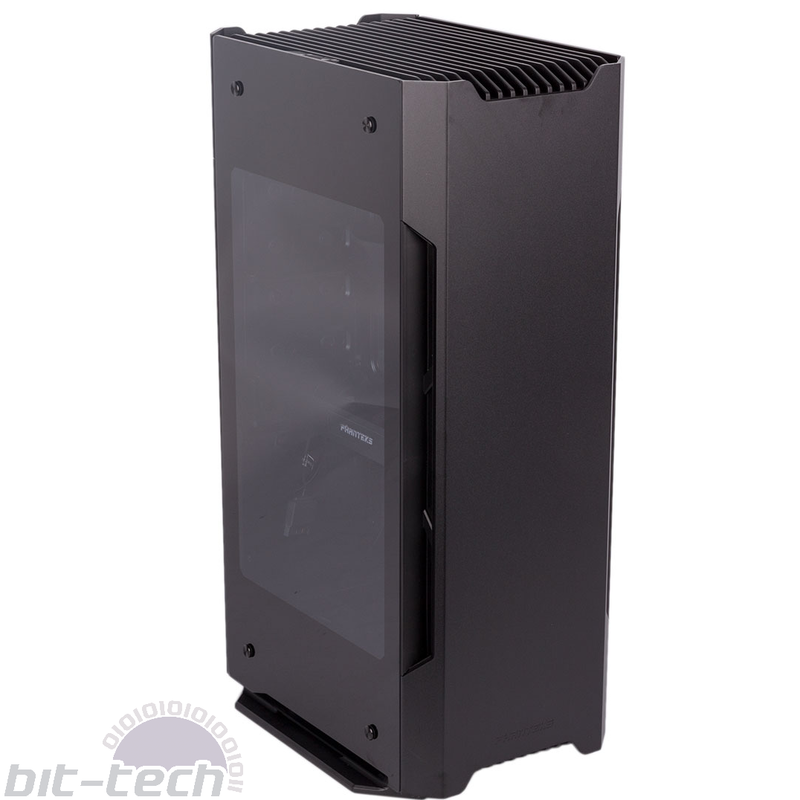 The front and back of the Shift are thick aluminium panels while the two sides are made from chunky tempered glass that have blacked-out bits to hide the messier parts of your build while still allowing you to see plenty of hardware. Plastic is used for the top and bottom grilles, but there’s no flimsiness. 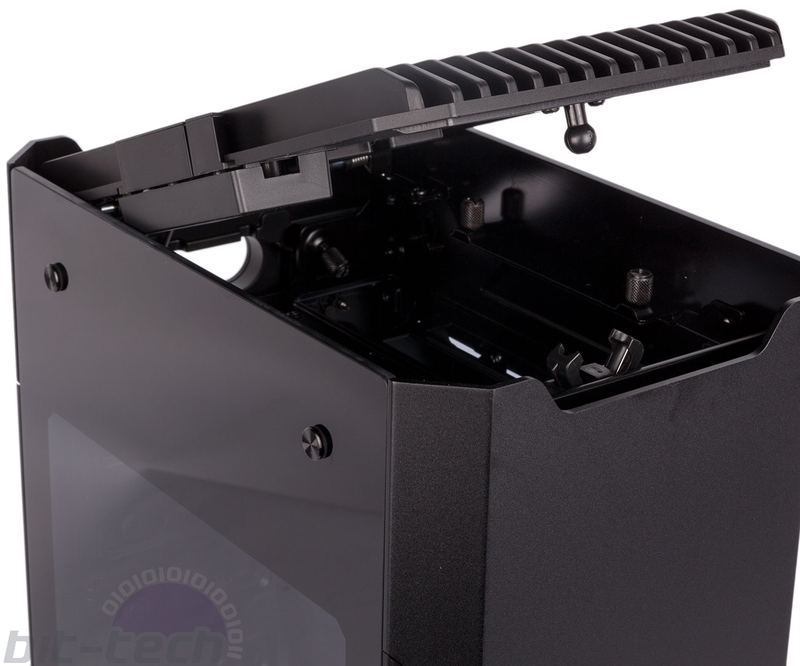 A push-to-release mechanism locks and unlocks the roof, which opens upwards via a strong hinge at the back for easy access to your motherboard and graphics I/O areas. It also automatically pops up to an angle of about 30° whenever you unlock it. Opening it all the way gives you complete access to the inner roof bit where all four panels can be released from. It also allows you to easily clean the non-removable dust filter that’s fitted beneath the grille. The system power button and another used for RGB lighting control are subtly integrated into this hinged roof section as well, with a satisfying action to both. The RGB button controls a tiny strip of light in the centre of this roof bit, but an extension cable inside can be used to power additional Phanteks RGB strips and keep them synchronised with the colour control (10 options). Designed to stand vertically by default, the lower grille has four rubber feet on its underside. That said, with a bit of effort, these can be removed, and extra rubber feet are supplied for you to stick onto one of the tempered glass side panels if you’d prefer a horizontal orientation. You can also simply move the default feet further inwards in case you need the Shift to have an even smaller footprint. Something we’re not particularly keen on is the location of the USB 3.0 ports down the back- left side – it’s just not a convenient place to have them. You should also note that there are no audio jacks and no reset button. Running down either side of the front and back panels are ventilated strips (it’s into one of these that the USB ports are integrated, in fact), and these are all backed with small, removable dust filters. A final dust filter at the bottom ensures full coverage, but these all require panel removal for access. 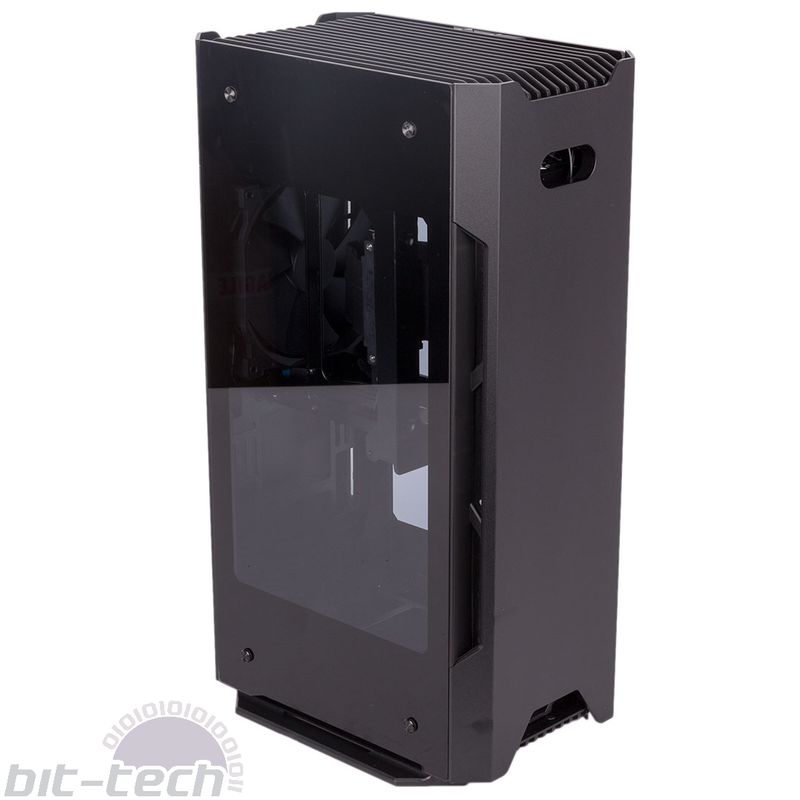 You may well be wondering how on earth Phanteks has designed the Shift in terms of airflow, as it’s certainly not very clear from the outside. It will be more obvious over the page, but essentially you can have two 140mm or 120mm fans behind the front panel drawing air in or exhausting it through the aforementioned side strips – a single 140mm fan is included as an exhaust in the upper mount here, but any fans fitted to the lower front mount should ideally be intakes according to Phanteks. 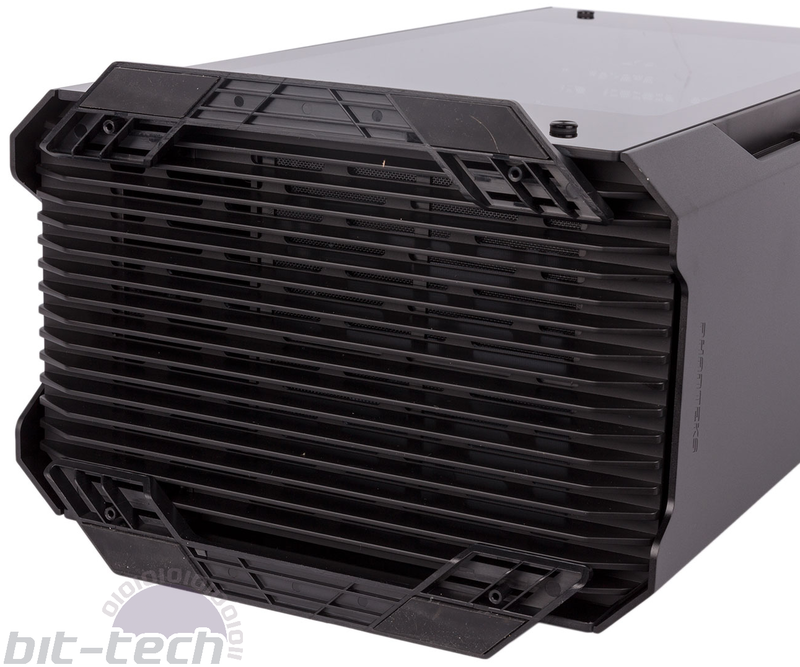 There’s also a 140mm/120mm intake fan mount at the bottom, and the case is designed also to naturally exhaust heat through the roof grille – heat does rise, after all. Drive bays 1 x 3.5"/2.5", 2 x 2.5"